Check engine light on? Check Hum first. The best time to find car trouble is before car trouble finds you. 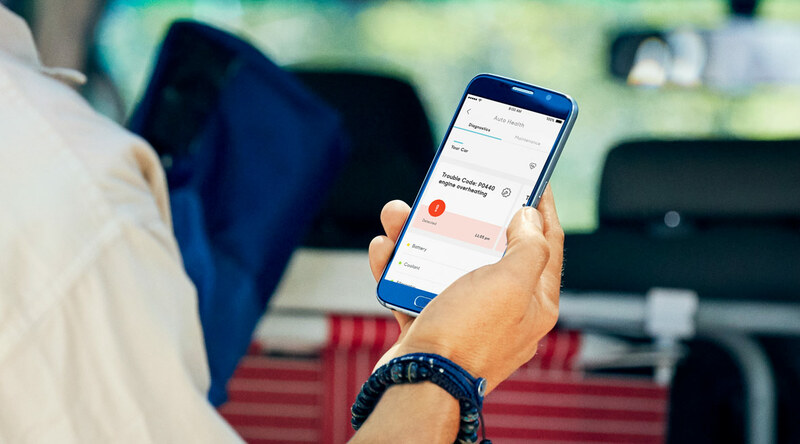 Hum lets you check your car’s health from your phone and detect problems before you go, and it automatically sends you alerts for hundreds of issues. It even gives you the Diagnostic Trouble Code (DTC) so you can be on the same page as your mechanic. Get detailed data on your car's health so you can hit the road without hesitation. Hum automatically monitors the status of your car's battery, coolant, alternator, mechanics, electronics, powertrain, wiring, and emissions. If any issues are found, you'll get an alert with the actual DTC and a thorough description of the problem. You'll know what's going on and how severely it may impact your car, so you can make informed decisions moving forward. Use Maintenance Reminders to help keep your car running right. Get email and/or text alerts when it's time to take your car into the shop for oil changes, tire rotations, and more. Hum detected low voltage in my battery. I was able to get it checked and replaced while it was under warranty. Hum saved me out of pocket expenses and kept me from possibly being stranded. The Hum OBD (On-Board Diagnostics) Reader receives diagnostic information from your car’s OBD system, and sends you alerts called DTCs, as well as other information about common vehicle issues. Alerts for DTCs are sent to you via text message and/or email. You can view vehicle diagnostic information, along with descriptions of most DTCs, in the Auto Health section of your Hum App at any time. How do I use Vehicle Diagnostics? If Hum sends a Vehicle Diagnostics alert, it is typically accompanied by a description of the applicable Diagnostic Trouble Code (DTC) to help you understand what the problem may be. If you choose to take your car to a mechanic, you can tell them about the alert and provide more information than just “the check engine light is on.” Hum is constantly adding new DTCs to its extensive database to make sure its analytics are as comprehensive as possible. Additionally, as a Hum subscriber, you can call the Mechanics Hotline for advice from an ASE-certified mechanic. Press the blue customer service button on the Hum Speaker or call (800) 711-5800 and ask to be connected to the Mechanics Hotline. 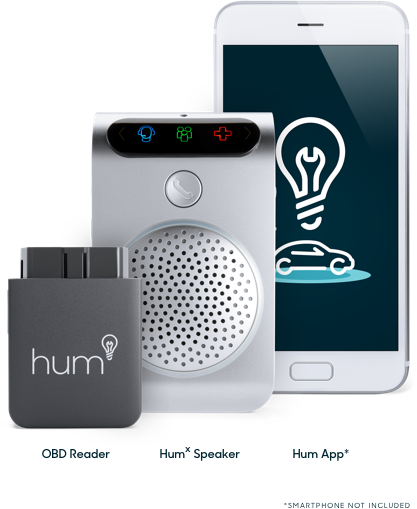 Will Hum detect all the issues my car can have? Unfortunately, no. Hum can detect many issues that are identifiable through your car’s OBD (On-Board Diagnostics) system only. Some examples of issues that are not identifiable through your car’s OBD system include: low windshield wiper fluid, low tire pressure, and headlights or taillights status. If you suspect something may be wrong, but haven’t received an alert from Hum, you can call the Mechanics Hotline for advice from an ASE-certified mechanic. Press the blue customer service button on the Hum Speaker or call (800) 711-5800 and ask to be connected to the Mechanics Hotline. How can Hum help with my routine maintenance and service?